Famous American fast food restaurant chain, Shake Shack is coming to Singapore in 2019! Shake Shack has officially confirmed the news on its Instagram account that it will be opening the first outlet at Jewel Changi Airport which is scheduled to open in end March 2019. Even if you have not tried it, you would have seen pictures of their juicy burgers all over social media. And now, this New York City institution—known for its simple, yet extremely satisfying burgers, hot dogs and shakes—is expanding to Singapore shores. Isn’t this every burger lover’s wildest dreams come true?! 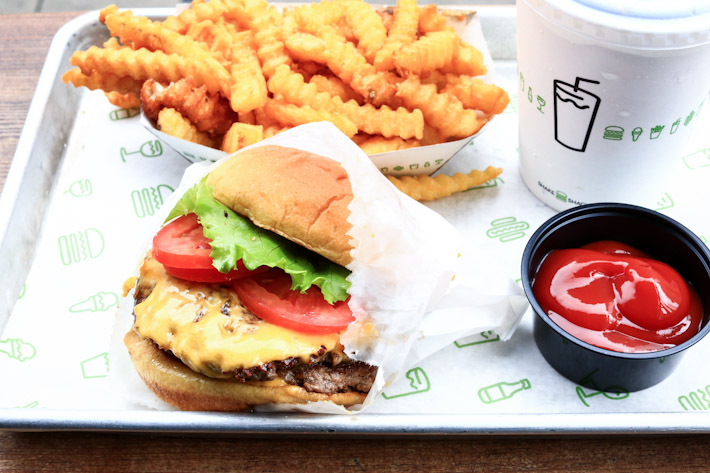 Since its humble beginnings as a hot dog stand in Madison Square Park, Shake Shack is currently one of the most well-known fast food chains in the world, operating 136 locations internationally. Shake Shack Singapore will be having the same menu as Shake Shack in US and South Korea. Unlike Shake Shack Dubai which is halal certified, Shake Shack Singapore does not have a halal certification. But we are definitely hoping that they will be halal certified so that our Muslim friends will get to enjoy the burgers and shakes. Read: A&W Singapore is also opening at Jewel Changi Airport in 2019.